The prince’s discomfort, and discomfiture, were aggravated, according to the diary, by the realisation that while he and his staff were roughing it in the upstairs cabin of the Boeing, belatedly revealed to HRH as the location of the aircraft’s Club Class, the British politicians and the departing Governor were directly underneath in First Class. A much likelier explanation of the seating arrangements, though, is that the upstairs cabin, usually indeed allocated to Club Class passengers, had been reconfigured and reserved in its entirety for the Prince of Wales and his staff, in order to provide them with privacy — and to relieve them of any obligation to make polite or even rude conversation with the politicians and officials down below. Older readers may remember the time when the whole of the upper cabin of the old two-storey Boeings used to be the ‘First Class lounge’ for First Class passengers, who could wander upstairs for a respite from all that ‘free’ caviare and champagne to enjoy a quiet read and a proper drink in the upper lounge, with its copious bar, miniature library of books and magazines, comfortable leather arm-chairs and easy tables, and easy access to the pilots in their cockpit, enabling the flying gentry to imagine, as they dozed off with a large Scotch and their feet up, that they were back in their gentlemen’s clubs in St James’s (although where the First Class ladies imagined themselves to be, I can’t imagine: in the University Women’s Club, perhaps). Was the heir to the throne really condemned to an ‘uncomfortable’ club class seat in a series of rows barely more roomy than the serried ranks of battery-hen humans back below in Economy, lunch trays pressed agonisingly into abdomens or knees pressed agonisingly into chests? I rather doubt it. But even if he was, to equate the Prince of Wales’s seating arrangements with the ‘end of empire’ does seem to be over-egging it a little. not treated in the same manner as confidential documents. But we can all, surely, enjoy the minor witticism in the title given by the prince to his essay on the Hong Kong trip: ‘The Handover of Hong Kong – or The Great Chinese Takeaway’. 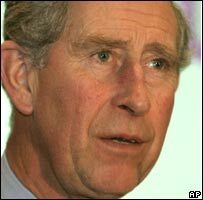 We may not always agree wholeheartedly with all the often eccentric views of our future king, but I do find an uneasy resonance in his evident distaste for the Great Chinese Takeaway, with its unmistakable whiff of betrayal. He must get it right some of the time. Yes, I always wondered where that little staircase on the 707s led – to some boxroom or garret where the pilot had a mad wife incarcerated, perhaps? The only time we’ve been upgraded from steerage to Club, for some hidden virtue that was never explained to us, it seemed palatial; free papers, more legroom, and I was able to sleep most of the way to Seattle. Can’t imagine what first class would be like – probably the sort of palatiality that would make me feel undeserving and guilty. The most comfortable flights I’ve experienced were the old BOAC flying-boat runs to the Far East and East Africa in the later forties. I went out that way a couple of times as far as Egypt for the summer hols. Lots of room, you flew at about 220 knots at 10,000-12,000 feet, low enough to see the ground (though you also caught all the air-pockets over Sicily), and you landed at Augusta a little to the north of Syracuse early enough for a swim before dinner and a night in a real bed, continuing next morning at a fairly civilized hour. Alas, gone for ever.